If you depend on your hydraulic system for your livelihood, you can’t afford to let even a minor parts failure interfere with your ability to operate your machinery. One way to reduce the likelihood of parts failing while you work is to inspect your system regularly. Another way is to always use the best possible parts, even for seemingly minor items like adapters. Parker hydraulic adapters Rancho Cucamonga CA provide secure, leak-free connections and are an excellent product at a great value. When you trust Parker adapters to keep things connected, you can breathe easier knowing your hydraulic system is in good hands. When buying any sort of hydraulic part, you naturally want to make sure you’re getting the best possible product and price. 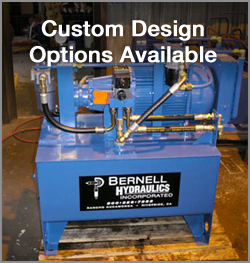 As an authorized Parker distributor, you can trust Bernell Hydraulics to give you both. We’ve been in the business of keeping hydraulic equipment in peak operating condition since 1977. Our sales and service departments are staffed with experts who know how to get the job done right the first time. If we don’t have your Parker hydraulic adapters Rancho Cucamonga CA on our shelves we can help you order them directly from Parker.